Our tipis are hand made, produced with highly resistant materials, prepared for the heat of summer and the cold and rain of winter. We offer two type of canvas,cotton and acrylic. 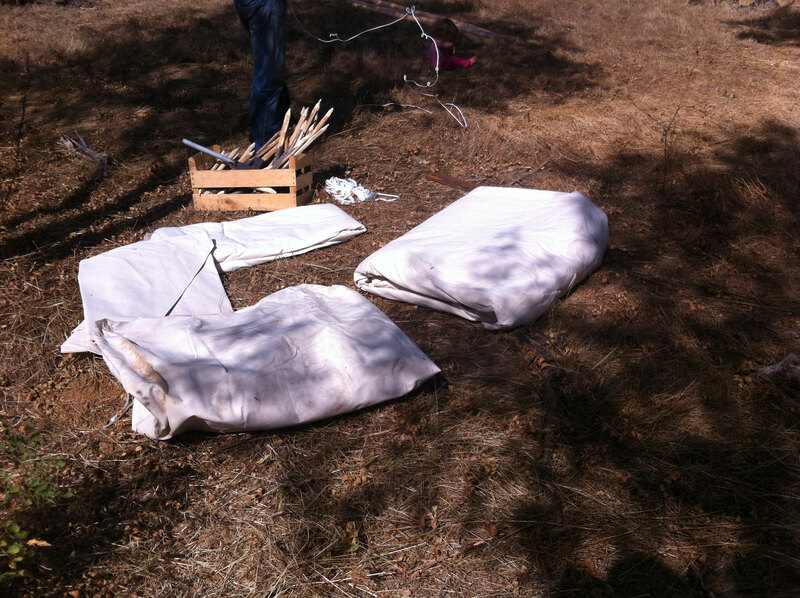 We make the original coton tipis ,with a polycotton canvas , with fungiproof treatment and waterproof 470g/m2. 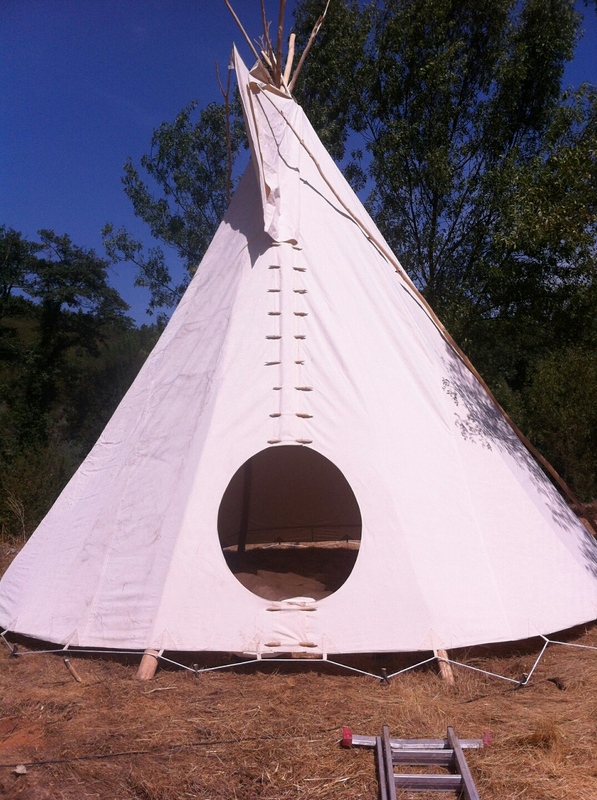 The acrylic tipis is made with a 100% acrylic canvas, fungi resistent and waterproof, 315g/m2 , doesnt need any treatment and has a durability of over 25 years. This canvas arrives in our workshop with a warenty of 10 years . 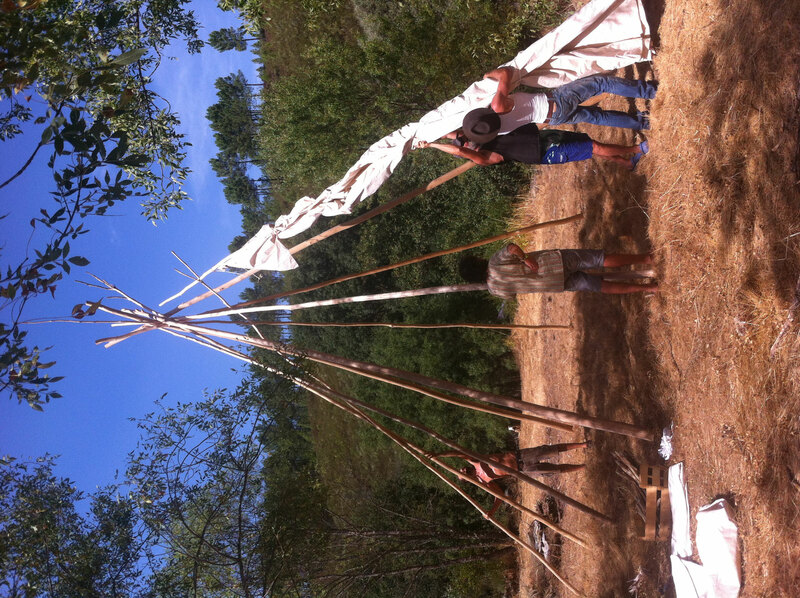 It is a great solution for wet country's ,and were tipis are up all year round, as it doesn't get fungi, his light weight is also a good plus, as it makes it very easy to build up and transport. 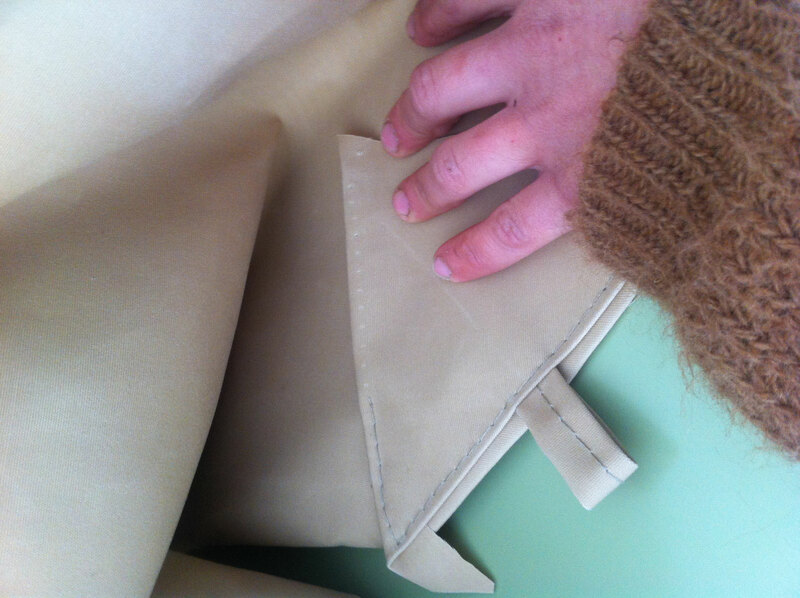 The linings are made of 100% cotton canvas,fungiproof and waterpoof,280g/m2. 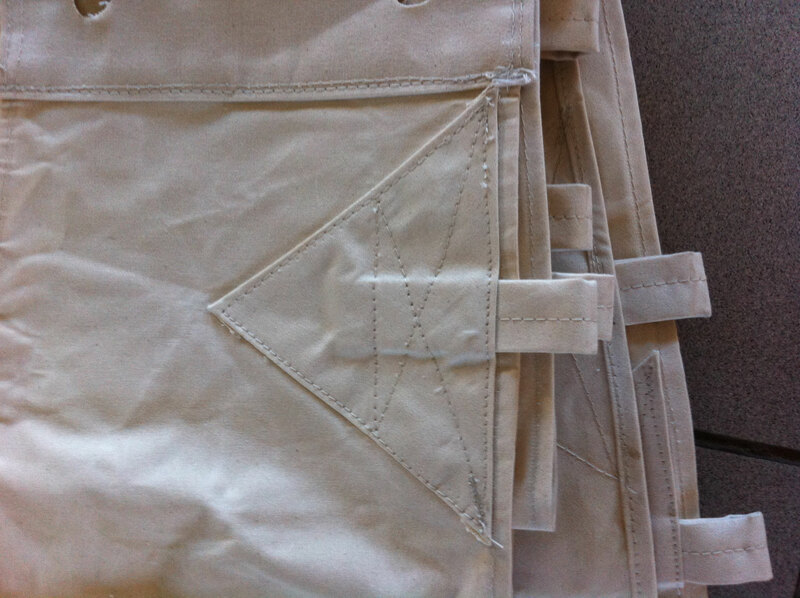 The lining has a stretch of pvc at the bottom. 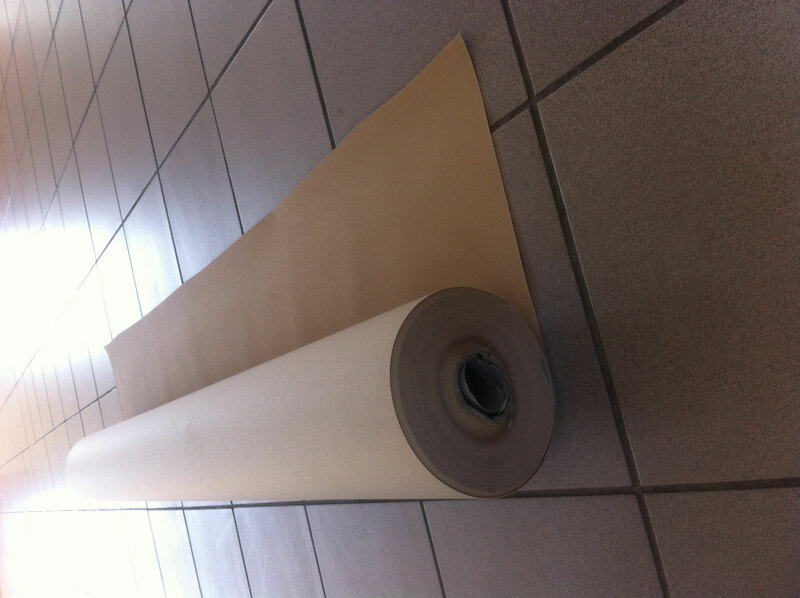 All the cotton canvasses can be treated with fire retardent. All those canvasses are chosen for they're quality and resistence after many years of experience,as our aim is to give a good and strong product that will last many years. They are all produced in Europe. 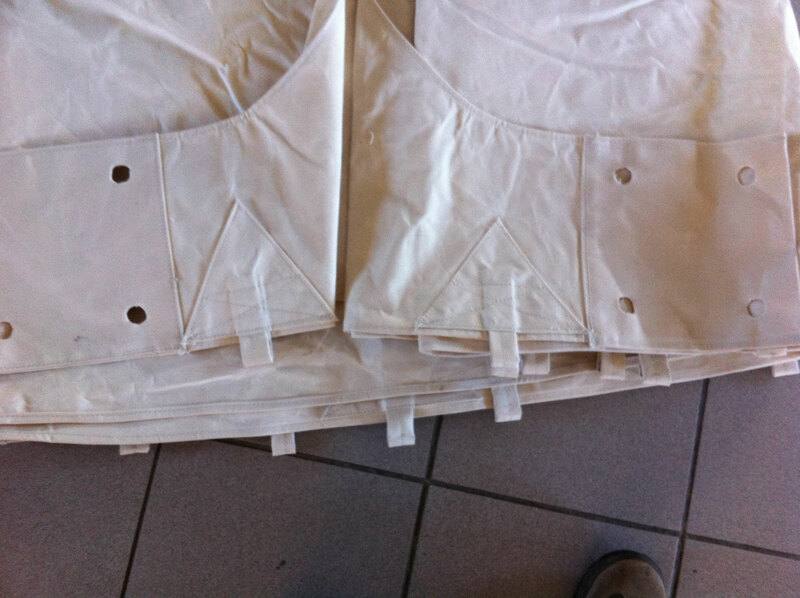 The seams are reinforced and the areas of greater stress have extra reinforcement to better withstand wear and tear. 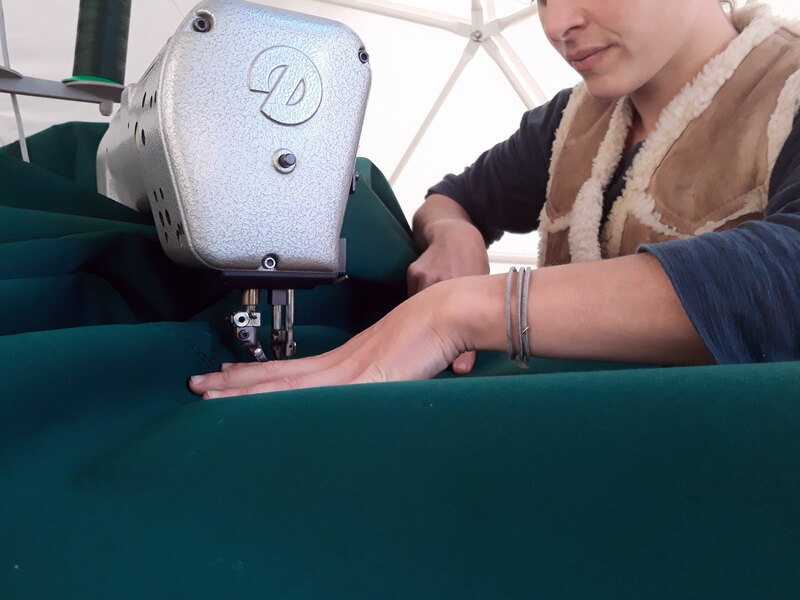 When complete (outer cover and "lining" inside) our tipis are cool and pleasant in the summer; due to the circulation of air between the two layers of canvas, and warm and dry in winter; due to the isolation given by the inner lining. 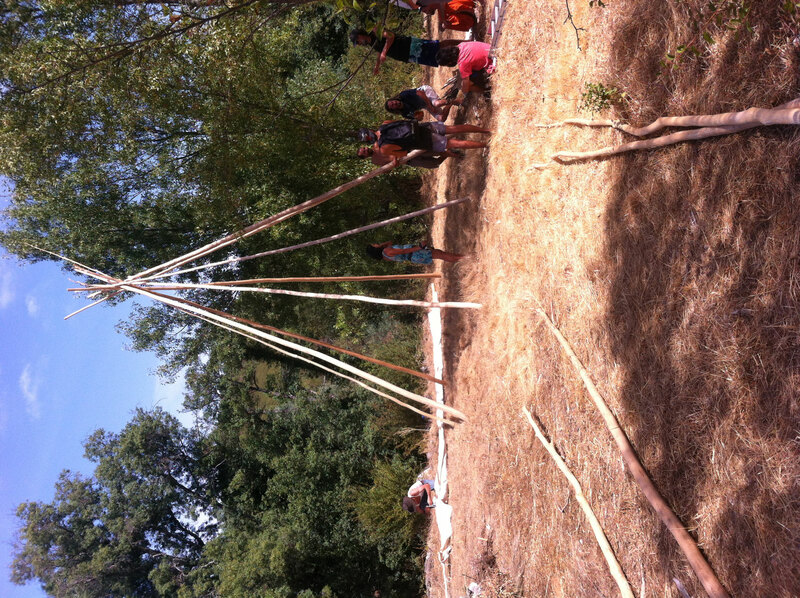 All the details are made with the experience we earn out of more than 15 years in making tipis .